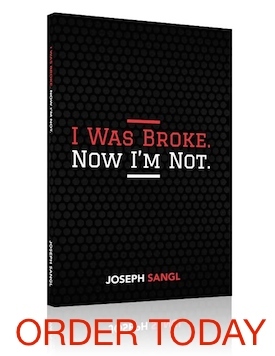 This blog is a personal blog written and edited by the JosephSangl.com team. (That’s me!) The primary goal is to provide free financial tools for individuals and businesses. It is also a means for providing financial support for our organization, IWBNIN, LLC. By reading this website, you are helping us achieve our passion of helping people accomplish far more than they ever thought possible with their personal finances. You are also helping us provide the vast majority of our content for absolutely free! What does this mean, exactly? It means that this blog accepts several forms of advertising payments. Although we’re compensated through various relationships, we ALWAYS give honest opinions, findings, beliefs, or experiences on those topics or products. The views and opinions expressed on this blog are purely our own. Any product claim, statistic, quote or other representation about a product or service should be verified with the manufacturer, provider or party in question. For questions about this blog, please contact me by email. This disclosure is provided in accordance with the Federal Trade Commission’s 16 CFR, Part 255: Guides Concerning the Use of Endorsements and Testimonials in Advertising.